The Indian Land Tenure Foundation and its grantees and partners continue to develop new ways to create awareness about ILTF’s mission, to educate Indian people, including youth, about Indian land tenure issues and to share information about trust land management. Various resources are outlined below. 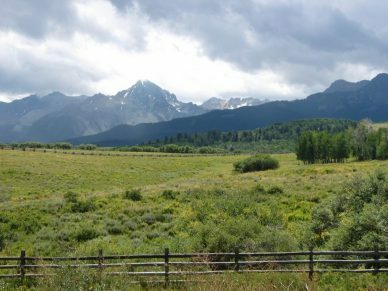 Lands within reservation boundaries may be in a variety of types of ownership – individual Indian, non-Indian, as well as a mix of trust and fee lands. The pattern of mixed ownership resembles a checkerboard. When original allotted trust lands that were transferred to fee land status are returned to trust status. 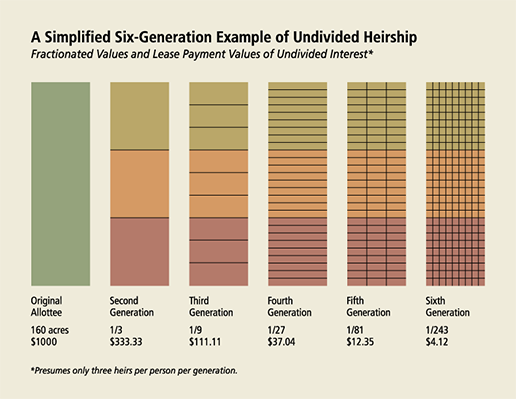 Tribes or individual Indians can initiate the process on fee lands they already own or lands they acquire. In general, this conversion can take as much as two years. When a trust parcel is owned by more than one owner as undivided interests. Fractionated ownership results from ownership interests being divided again and again when an owner of the interest dies without a will providing for the distribution of the asset. Trust parcels with fractionated ownership often have hundreds, sometimes thousands, of owners. By law, a majority of owners must agree to a particular use of the land, making it difficult for any one of the owners to use the land (i.e. for farming, building a home or starting a business). When land is owned with other parties as joint tenants and the right to the land lasts as long as each joint tenant is alive. As each joint tenant dies, the surviving joint tenants receive the share of the deceased joint tenant. Eventually, the last surviving joint tenant owns the entire interest in the land, and only that person can decide who gets the land after that remaining tenant dies. If a person owns a remainder interest in land, his or her right to the land begins when the person owning the life estate in the land dies. If an Indian has the remainder interest, the land stays in trust. To prevent Indian lands from passing out of trust status, non-Indian heirs will only receive a life estate in Indian lands. Because a non-Indian heir owns less than the full interest, a “remainder interest” is created, and this remainder interest must go to an Indian. If there are no such heirs, the remainder may be purchased by any Indian co-owner of the parcel. If no offer is made to purchase the parcel, the remainder interest passes to the tribe. The rules are applicable to both testate and intestate Indian estates. The legal right to use or profit from another’s property. Hosted and narrated by ABC-TV’s Sam Donaldson, and featuring Senator John McCain (R-Ariz.), former Senator Tom Daschle (D-S.D. ), and the late Elouise Cobell, lead plaintiff in the Supreme Court case Cobell v. Salazar, the film has been described as the most compelling and powerful documentary ever produced about the degree to which American Indians have been unjustly treated in respect to their lands and resources, how those injustices occurred, and the devastating consequences of these actions that Indian people still experience today. DVDs are available for purchase for $5 each, plus shipping. To order, please email info@iltf.org or call 651-766-8999. Click the image above to see excerpts from the film. 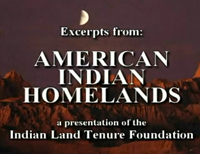 In 2008, ILTF funded the adaptation of the K-12 Lessons of Our Land curriculum to reflect Montana tribal histories and cultures and to implement the curriculum in classrooms state-wide. 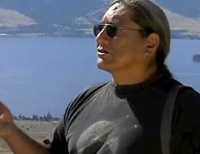 Key components of the project included video interviews of tribal members and elders, and other interactive classroom materials, such as a Tribal Lands Jeopardy game. Indian Land Tenure Foundation developed an interactive, touchscreen display that is housed in the common area of University of Montana’s Payne Family Native American Center. The display provides a glimpse into the history of Indian land ownership in the U.S. as well as offering information on the key Indian land tenure issues facing Native people today. 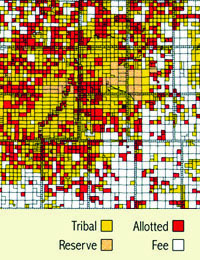 It also includes a section on Montana Indian Nations, including maps of each of the state’s seven reservations.